Pernicious anemia typically develops gradually and the initial signs of the disease, which may include weakness and fatigue, are vague. Other symptoms of pernicious anemia typically only occur in more severe case, but may include pallor, shortness of breath, rapid heart rate, anorexia, tongue soreness and redness, bleeding gums, and weight loss. If the condition is left untreated, irreparable neurological problems may develop that may become apparent as unsteadiness when walking, a tingling or a numb feeling in the hands and feet, irritability, memory loss, or severe personality changes that are sometimes referred to as megaloblastic madness. 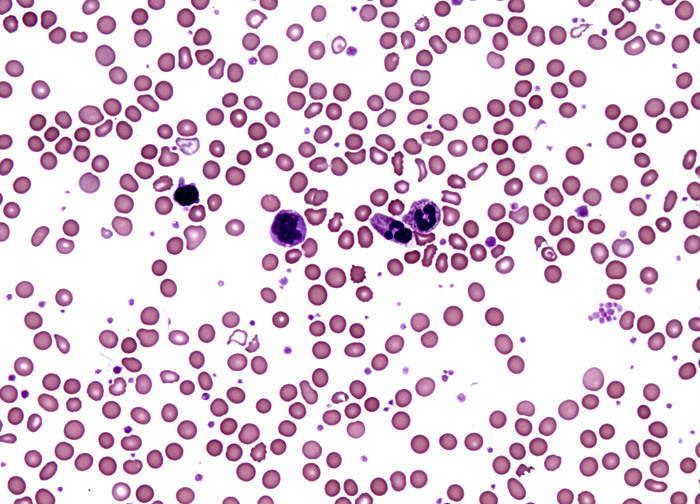 Few individuals incur such serious effects from pernicious anemia in modern times, although they were seen as inevitable steps on the path towards disease-related death in earlier periods. Today, treatment for pernicious anemia involves periodic intramuscular injections of vitamin B12. This form of therapy is very successful and usually provides rapid relief. The injections must be continued throughout life, however, or symptoms of pernicious anemia will return.